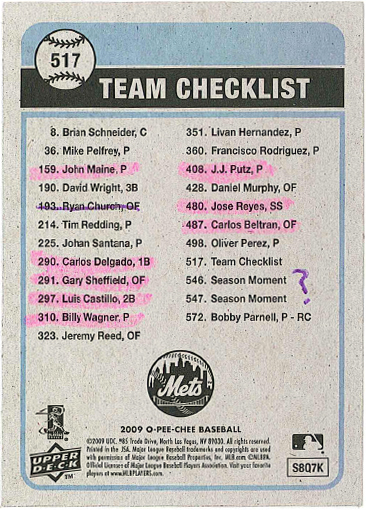 O-Pee-Chee Baseball 2009 New York Mets Checklist! Thanks to this here blog, and the fact that my cube has plenty of orange and blue memorabilia, I’m known as “the Mets guy” here at Upper Deck. Which is pretty cool: whenever there’s a Mets item around, someone is often nice enough to drop it off at my desk to keep.